These books are wonderful reads in their own right, and used within you art and math explorations they add an extra element of storytelling to your children’s experience. Humans have used storytelling for as long as we have had language, to teach, connect, and inspire. Reading fun, adventure-filled, and visually engaging books as part of your lessons will help children remember the math concepts far longer, and with smiles. 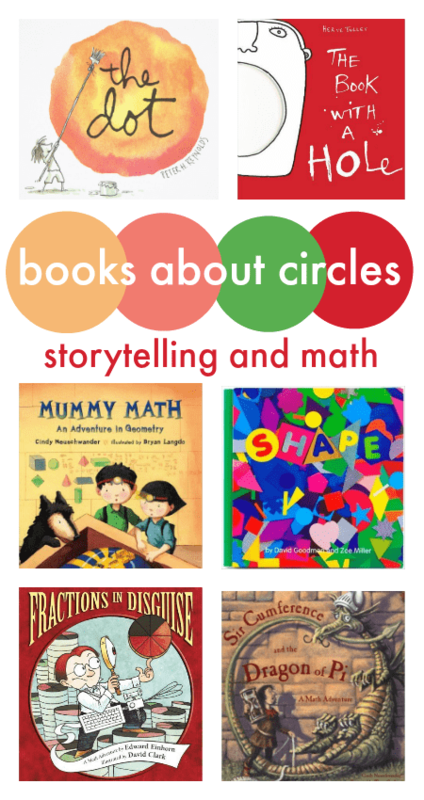 Here’s a collection of favourite books that all feature aspects of math related to circles, including 2d and 3d shapes, fractions, and pi. You can use the links to see more and add them to your class book box. 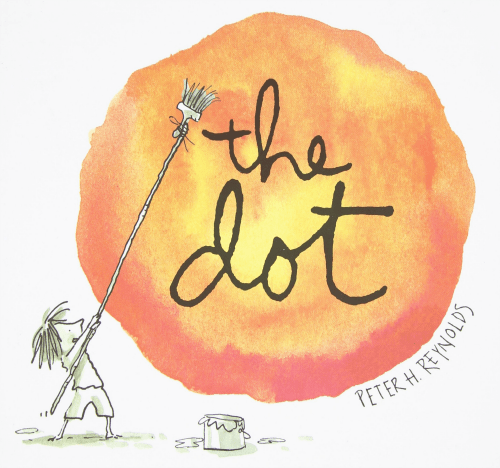 The Dot by Peter H. Reynolds This is the book to read with any child who thinks they can’t draw, they’re no good at art, or prefectionists who don’t draw for fear of it not turning out right. “Just make a mark and see where it takes you” is wise advice Vashti’s teacher gives to her – and us. 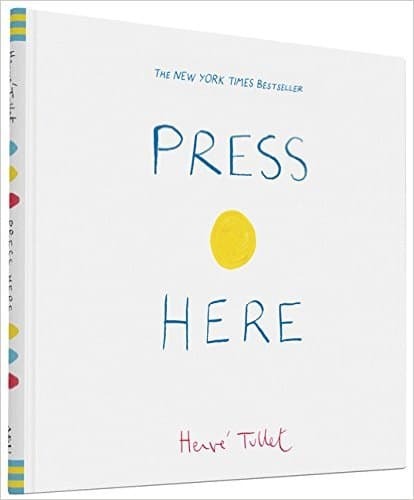 This is a super read about the wonderful creativity inside all of us. See more of this book on Amazon. 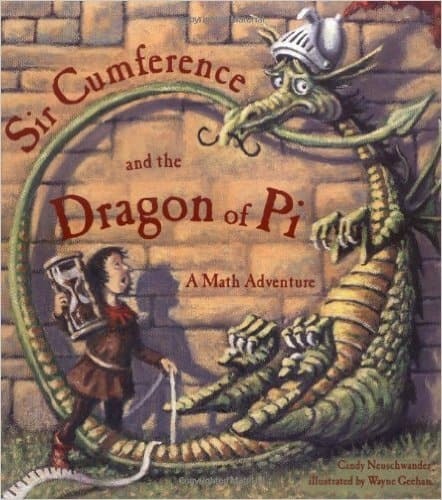 Sir Cumference and the Dragon of Pi by Cindy Neuschwander This is the book we use as the starting point for our Pi Day celebrations. It’s a fun story, especially for dragon fans, with an excellent, clear introduction to the concept of Pi. Like all great teachings, this book helps children ‘discover’ the secret of Pi for themselves, through the telling of the story. See more of this book on Amazon. 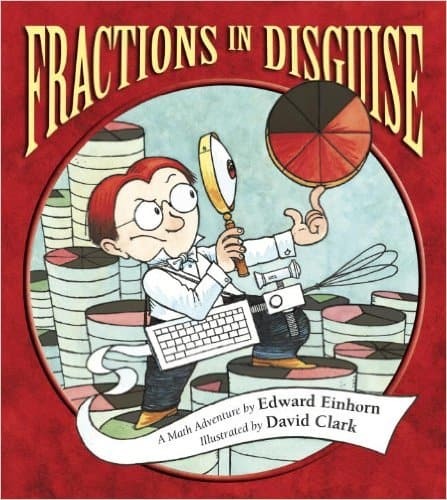 Fractions in Disguise by Edward Einhorn. Meet the boy who collects fractions, and follow his adventure when 5/9 is stolen. This fun action story is filled with fractions and plenty of humous. The book covers fractions, improper fractions, mixed numbers and more, with an explanation of the math at the back of the book. See more of this book on Amazon. 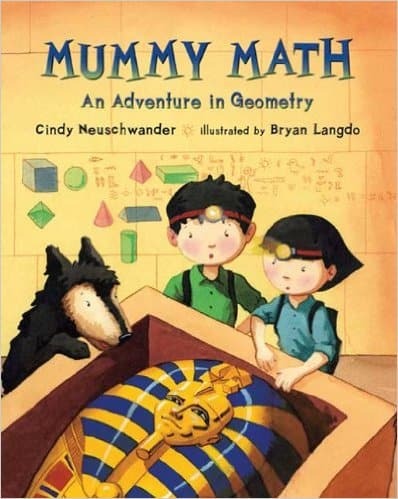 Mummy Math by Cindy Neuschwander. This is another math action adventure, this time with a focus on geometry. Set in Egpyt it’s again a book where children will love the story and dive into the mystery solving before they’ve even realised they’re getting a math lesson. The books covers 3d shapes, faces, vertices and edges. See more of this book on Amazon. 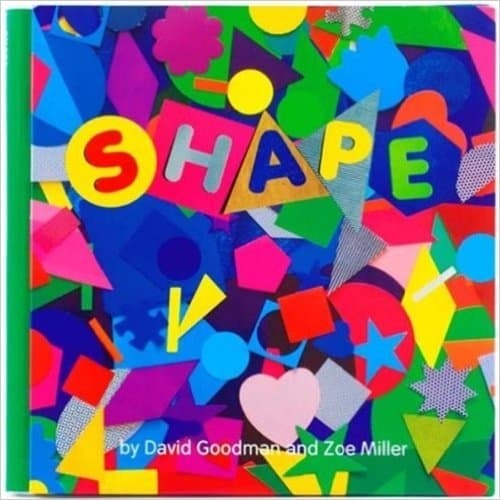 Shape by Zeo Miller and David Goodman Such a visually rich book! Full of colour, fabric, found objects, photographs and collage. Going far beyound a basic ‘this is a square’ shape book, there is so much to see and talk about here. In addition to all the shapes, you’ll also meet pattern, symmetry and 3d solids. See more of this book on Amazon. 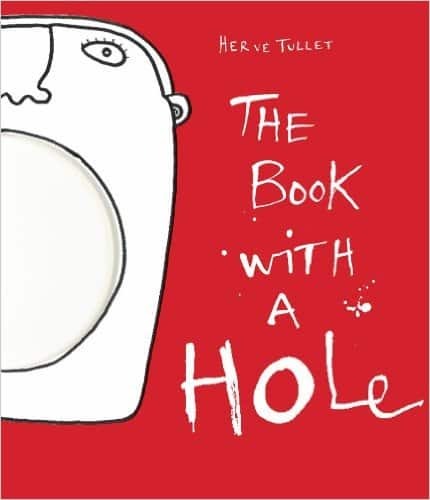 The Book With A Hole by Herve Tullet This book does indeed have a hole right through the middle of it! It’s fun to read and a visual delight, and a great springboard into see what kind of art you can create from a simple circle. See more of this book on Amazon. The ART of CIRCLES It’s so important to combine math and art. When we work across the curriculum it allows us to go broader and deeper with our learning. We get to make connections. Our understanding is more relevant and our learning is longer-lasting. 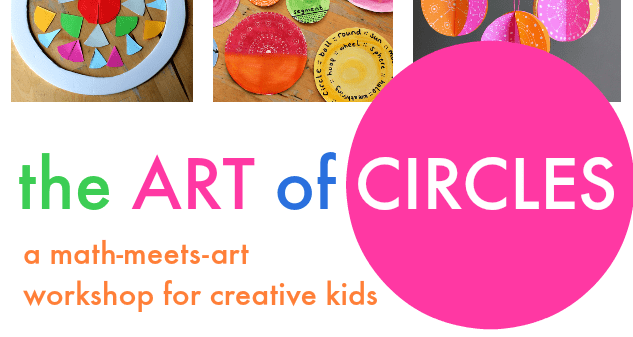 The Art of Circles workshop gives you everything you need to deliver a hands-on programme of art and math, all based on circles. 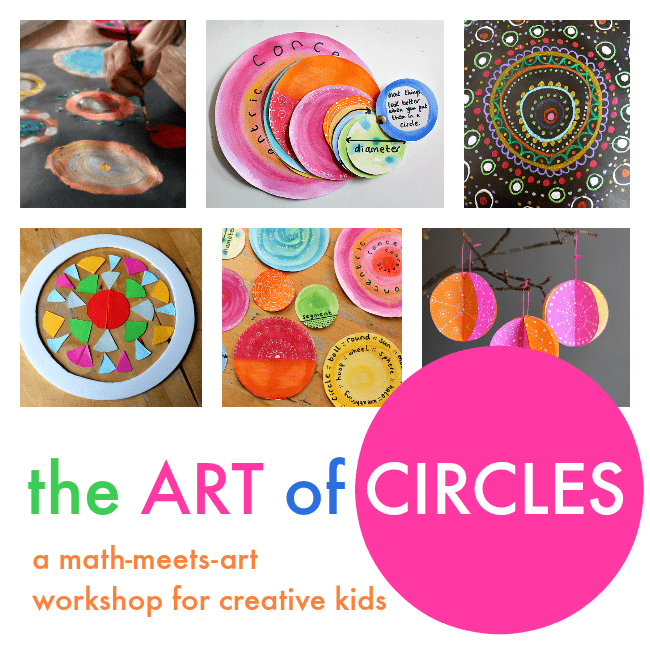 It includes learning about famous art featuring circles, the importance of circles through history and around the world, and key concepts of the math of circles. It gives you three full art projects, with five bonus resources included to go further with your exploration of circles. Find out more about The Art of Circles.